4 x 2" White Rectangle Laser Labels. 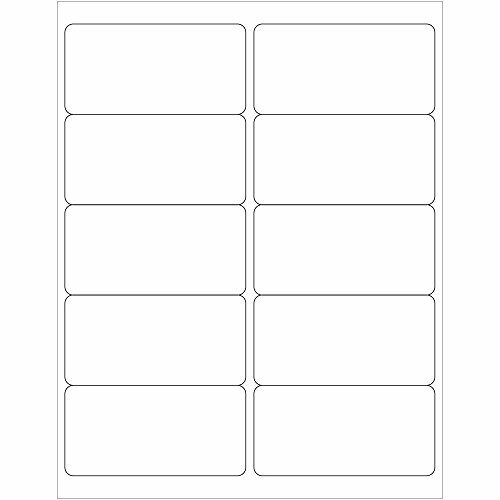 Use to create your own product or mailing labels. Labels work with both laser and ink jet printers. Permanent adhesive. Labels stick to a variety of smooth surfaces including paper, corrugated, plastic, wood, glass and metal. AVERY EQUIVALENT: 5163. Avery is a registered trademark of Avery Dennison. Reference to Avery and its model numbers are for comparison purposes only. Tape Logic and the Tape Logic brand labels are not affiliated with Avery. View More In Inventory Labels.